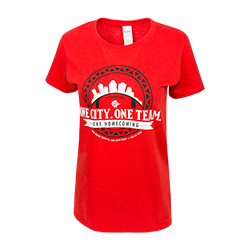 2018 Women's homecoming crew neck t-shirt featuring "One City. One Team." layered above a city and football graphic.